Grandma and Grandpa will absolutely adore seeing their precious little angel in this first Christmas picture frame. 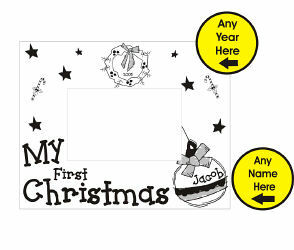 Create this frame loving way to always remember child's very first Christmas for years to come. 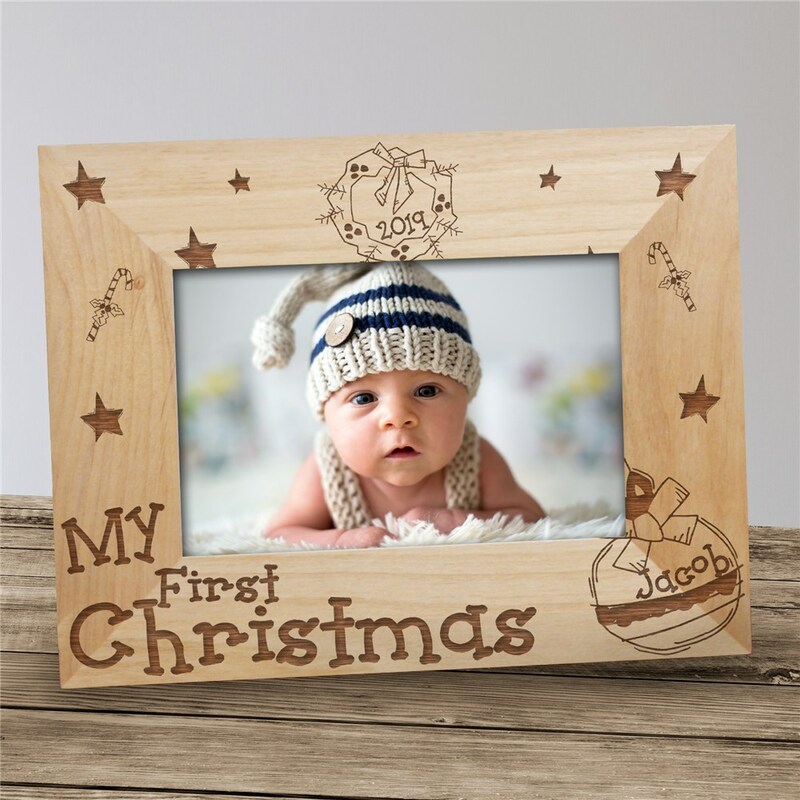 Baby's First Christmas Gifts frame comes in three sizes, please choose from, 4"x6", 5"x7" and 8"x10". Easel back allows for desk display. Personalize your photo frame with any name and year. A wonderful keepsake for my baby's first Christmas.